Development, broadly defined, has dominated Lesotho’s political discourse throughout its nearly 50 years of independence. This morning, Pakalitha Mosisili of Lesotho’s Democratic Congress (DC) announced the formation of a new coalition government, replacing the All Basotho Convention (ABC) leader Tom Thabane’s first-ever coalition government in Southern Africa. Despite the fact that Mosisili was Prime Minister from 1998-2012, there is reason for optimism for political transformation and better development for citizens of the Mountain Kingdom—the results were not simply shuffling the deck chairs on the Titanic. Prior to last week’s elections, multi-party democracy only existed in the period 2012-14 and the immediate post-independence period, 1966-70. Otherwise, Lesotho had single party rule, military rule, or token Parliamentary opposition. All periods have featured stark political polarization and vehement rhetoric, but there has been a softening over time of the view of 1966-70. The late Motsapi Moorosi, Lesotho’s first Olympian, noted that while at the time he thought them incompetent, the ruling Basotho National Party (BNP) “battled,” and “to my surprise they did well” in building “infrastructure and everything.” Key here is not only the historical revisionism, but the emphasis on development outcomes in determining competency. The collapse of the Thabane-Metsing coalition and the resulting 2015 elections were, thus, yet another salvo in the rhetorical ‘development wars’ between politicians in Lesotho, ongoing since independence. The sad reality is that most Basotho have benefitted little from this rhetoric, with Lesotho ranking at the bottom of tables on global mortality and health. So what is different about 2015? First, while Thabane lost the office of Prime Minister, his ABC party increased its constituencies won from 26 to 40, becoming a national party on the strength of its anti-corruption platform. Second, the return of ex-Prime Minister Mosisili to office matters because he did so by going into opposition and waiting for the next election to restate his case to voters. Third, voters explicitly rejected Metsing, gutting his party’s electoral support and deeming him primarily responsible for the political turmoil. Fourth, Lesotho recently qualified for a second round of US Millennium Challenge Corporation development funding and started construction on Phase II of the Highlands Water Project. The DC-led coalition needs to retain democratic legitimacy to continue these vital projects. The key, however, was that voters in Lesotho punished perceived incompetency, and rewarded moves against political corruption, constructive opposition, and calls for community-based development. Political scientists have demonstrated that as competition among parties rises, so do development outcomes. The emergence of two main parties—the governing DC and opposition ABC—could portend more focus on development deliverables to local communities. The DC-led coalition is precarious, with seven parties needed to cobble together 65 of 120 Parliamentary seats. With such a tenuous majority, they will have to govern with an eye toward the next election. The ABC, meanwhile, increased its voting share in every district on the back of perceived competency in government and will be looking to continue its upward trajectory in the 2020 polls by offering constructive opposition. Thus, for one of the first times in its history, delivery of development to ordinary people could lead to electoral victory. 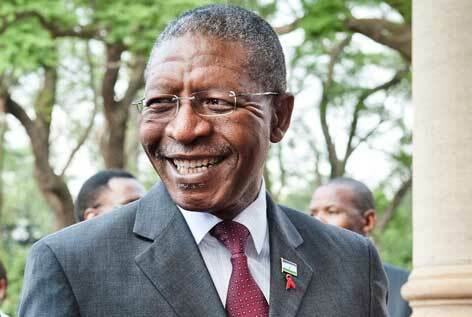 Is this the maturation of politics in Lesotho? Only time will tell, but the 2015 polls suggest that despite fractious appearances Lesotho offers an example of positive trends in African governance, as well as hope for ordinary Basotho.